A peek inside the cellar of the long-awaited Healdsburg restaurant. When farm, inn and 52-seat fine dining concept Single Thread—the first major project from chef and farmer, husband and wife team Kyle and Katina Connaughton—opens in Healdsburg this weekend, guests won’t just come for the seriously ambitious food, but a wine list to match. Sommelier Evan Hufford's list champions local, hard-to-find California producers, featuring a back catalogue of rare bottles from the 1970s, 1980s and 1990s, particularly Pinot Noir and Zinfandel, which he has unearthed from dusty winery cellar corners and from vetted private collectors. The restaurant even has its own on-site winery: a 450-gallon-capacity concrete-egg fermenter that’s visible from the dining room but zoned with its own address, making it one of the smallest bonded wineries in the U.S. Starting in 2017—and turning the usual food-wine pairing convention on its head—each year one local winemaker will craft a single wine specifically to match Kyle Connaughton’s cuisine, perhaps even as a pairing for a single dish. Connaughton, who has cooked at such acclaimed restaurants as Michel Bras TOYA Japon and Heston Blumenthal’s The Fat Duck in England, will offer three prix fixe 11-course menus nightly: one vegetarian, one featuring Pacific seafood and one incorporating meat courses. 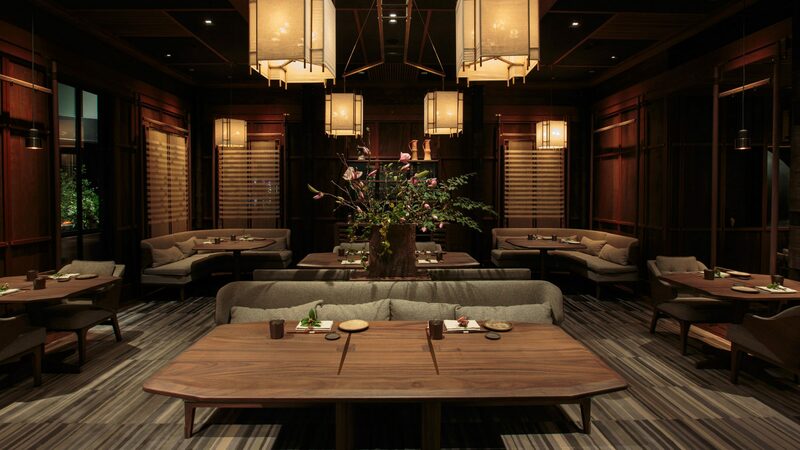 Each follows the format of the traditional multicourse Japanese kaiseki menu, adapted to Sonoma. Based on the ingredients sourced daily from his wife Katina Connaughton’s two farms (a five-acre plot in the San Lorenzo vineyards and a rooftop garden atop the restaurant) and from other local producers, Connaughton’s menus will change frequently, even nightly. As a result, Hufford must evaluate new pairing possibilities daily. Guests can opt for a non-alcoholic pairing featuring matcha, shrubs and herb-and-spice infused beverages, or one of two alcoholic pairings: the standard pairing for $202.28 or a reserve pairing for $384.98. The latter will substitute in four or five rare selections, wines that the sommelier team may only be able to offer for a single night. 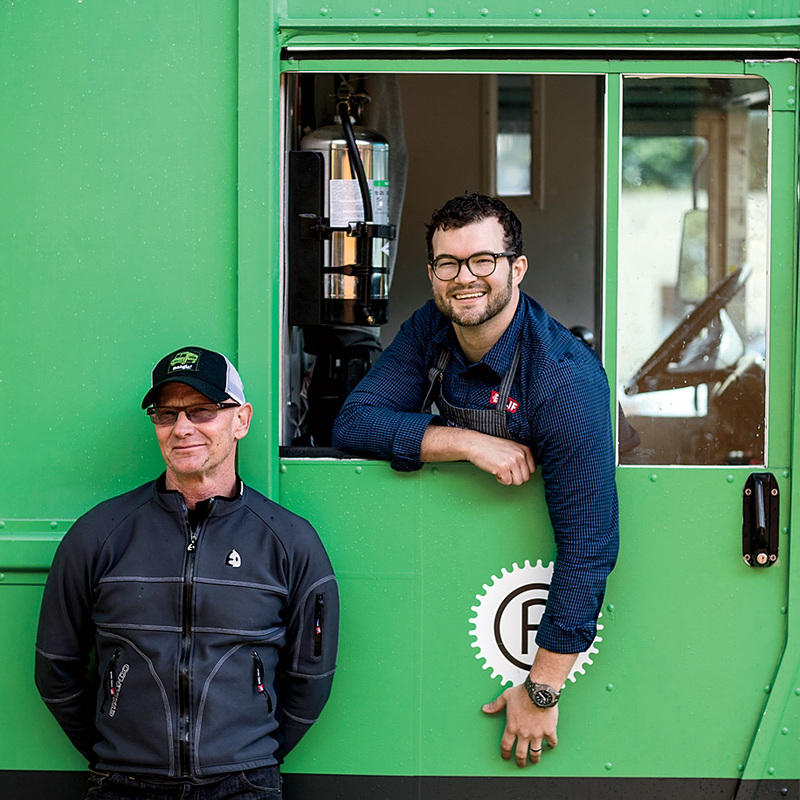 Prior to joining Single Thread, Hufford worked at Michael Mina and three-Michelin-starred Saison in San Francisco, where he helped grow the list to 12,000 bottles. He says that Single Thread’s list won’t reach those proportions, but is hoping to offer somewhere in the region of 1,500 selections within a year, including around 30 sake selections. Grower Champagnes and Gusbourne sparkling wine from the UK (a nod to the Kyle and Katina Connaughton's time at Fat Duck) are featured, Burgundy is well represented, and Hufford will also offer a wide choice of Austrian and German wines, because they’re so friendly to Connaughton's Asian-influenced cuisine. “I have some heavy hitters like Raveneau Chablis and Domaine de la Romanée-Conti, some old Dujac and a little vertical of Chateau du Pomard from 1962, 1964 and 1966,” Hufford says. But for now, he’s focusing most intently on sourcing older California wines, such an extensive collection from Ridge Vineyards, much of it from vineyards that the winery doesn’t utilize anymore. 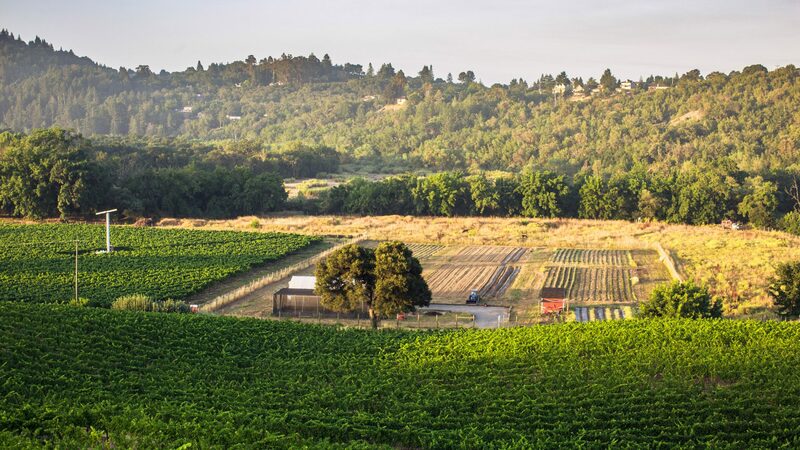 Sought-after back vintages from Rafanelli, the noted Dry Creek producer, and Napa’s Storybook Mountain Vineyards also feature on the list. “Zin is often ignored in fine dining,” Hufford says. “It turns peppery and spicy, with earth and leather tones; that ripe fruit dries out to a desiccated, almost potpourri note that recalls raisins and prunes.